Press Sample Since Friday's mani was off-season I decided why not do another? But this time sans nautical theme. So now I'm using three shades from the China Glaze Monster's Ball Halloween 2013 collection. I started off with three coats Fang-tastic (I painted the first one and kind of placed the remaining two coats). After that messing around with a little bit of glitter placement I actually applied Ghoulish Glow on my thumb, ring, and pinky fingers. 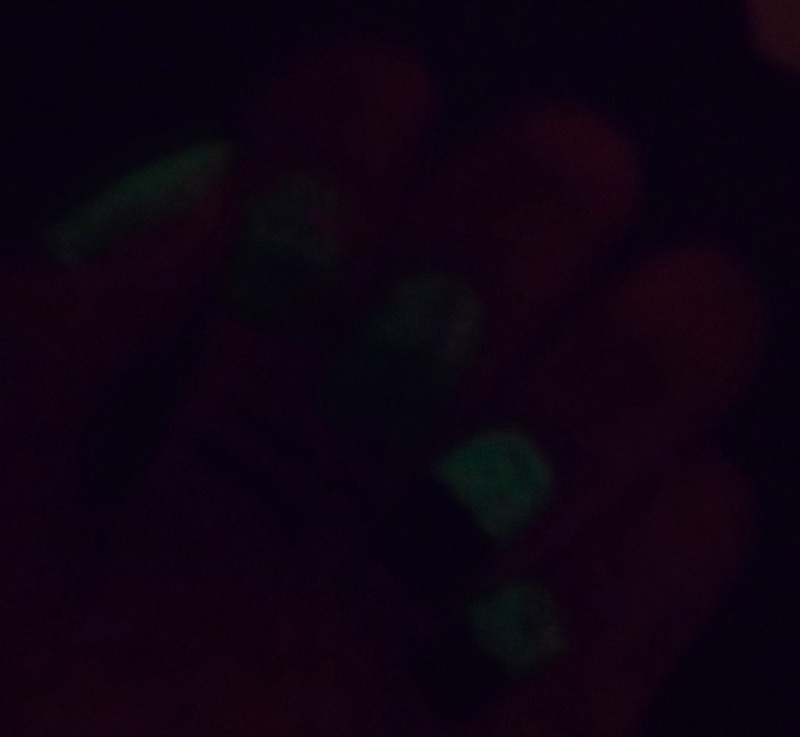 Then I followed up with Bump In The Night (for my index and middle fingers I did the opposite of my ring and pinky). And now it's time to showcase the glow! Out of three shades I received my favorite is Fang-tastic! The mix of blue, violet, magenta, and green glitters are definitely wearable all year round! China Glaze Monster's Ball was available starting October 1st in stores but you can get the entire set at places like Lengths on clearance for $2.99 right about now. How do you feel about seasonal specialty lacquers? Fang-tastic is so pretty! I'm not a texture person, so the black isn't my thing. But this was a very inventive design! I never thought to "color block" with glitter and a texture. So unique! I agree...Fang-tastic is a great glitter for any time of year! What a fun manicure! I think the glitter is my favorite, too!